Our investors provided equity and loan funding to purchase a freehold property and establish a premium nursery school in London. Why plan for INHERITANCE tax mitigation? Inheritance tax is possibly the single biggest bite ever taken by the taxman from family wealth. Rockpool offers two low-cost and simple solutions to inheritance tax planning taking advantage of Business Relief. 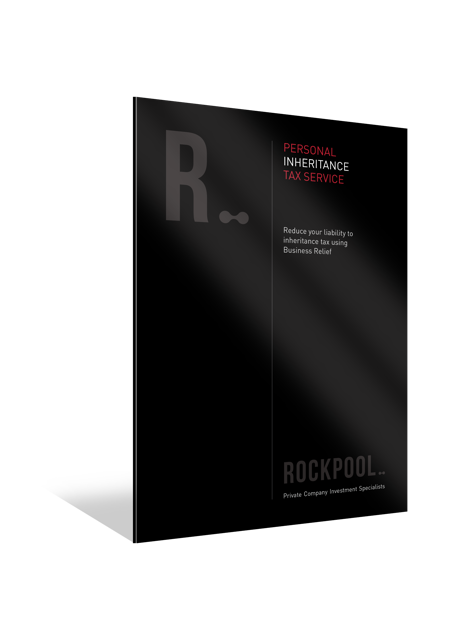 The tax benefits of investing through Rockpool’s Inheritance Tax Services depend on your personal circumstances, on the circumstances of each company and on rules and regulations. All of these could change, removing tax benefits you expected to enjoy. Your capital will be at risk and there is no guarantee of any return. This sort of investment does not provide a reliable source of income. Tax benefits depend on your personal circumstances, on the circumstances of each company and on rules and regulations. All of these could change, removing tax benefits you expected to enjoy. Both our solutions involve owning shares in a UK private company which has the qualifying trade of lending for the purposes of Business Relief. There is no complicated structure required. Invest in our lending company or in your own company depending on the size of your estate and the returns you’re looking for. There are no fees to pay for either our Personal Inheritance Tax Service (min £50k investment) or our Corporate Inheritance Tax Services (minimum lending programme of £250k). Salus Services provides managed storage services. Rockpool investors provided a loan, secured by a first charge against the company’s freehold property. Interest is payable at 9% p.a. over a 4-year term.